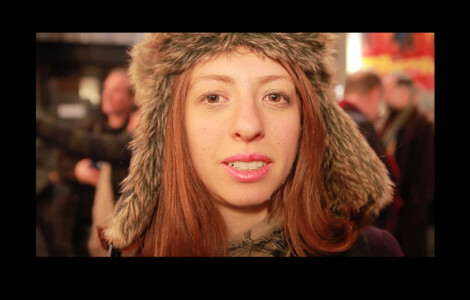 “Charlie Victor Romeo”, an independent 3D film directed by Robert Berger and Karlyn Michelson, funded through aKickstarter campaign, will be playing at this year’s Sundance film festival in the New Frontier Film category. 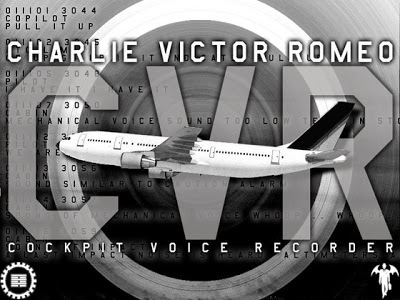 One of the most unique and riveting theatrical experiences, CHARLIE VICTOR ROMEO (CVR) is a performance documentary derived entirely from the “Black Box” transcripts of six major real-life airline emergencies. Allowing the audience into the tension-filled cockpits of actual flights in distress, CHARLIE VICTOR ROMEO is a fascinating portrait of the psychology of crisis and a testimony to the ability to live to the last second of life. What is going on up there behind the door in the front of the airplane? Who are these people we trust our lives to, and what do they really do when things go horribly wrong? Over the past 12 years there have been numerous discussions and investigations into how CVR might be brought to a larger audience through another medium. How do we preserve the artistic vision that makes it the dynamic presentation that it is? The power of our production is the intimate communication of the intensity and emotion of these emergencies, communicated between our cast and the audience. How do we take that closeness, that connection, and carry it over to the cinema? Through the use of state-of-the-art 3D Stereoscopic camera technology and the highest quality audio recording and engineering we will bring this groundbreaking and powerful international phenomenon to the big screen allowing moviegoers the same thrilling, devastating and uplifting experience live theater audiences have experienced for years in a way that has never been done before.